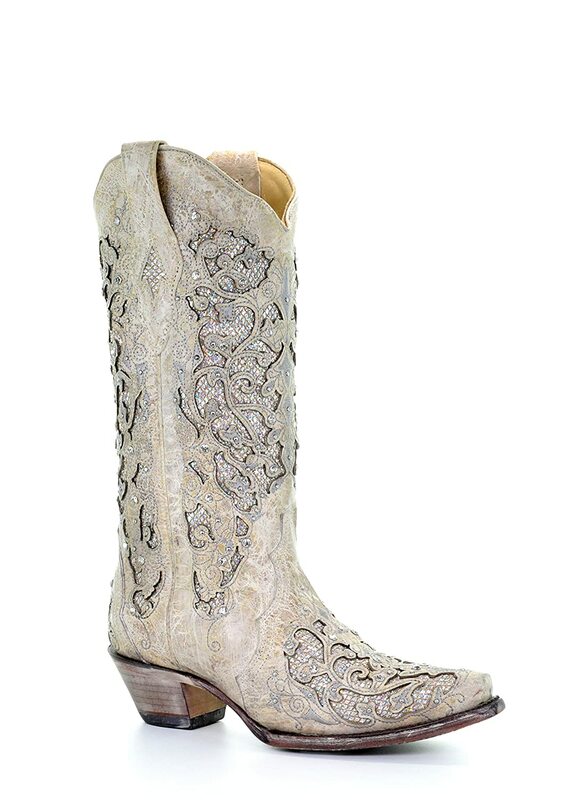 WESTERN-INSPIRED STYLE - Carefully designed with intricate Swarovski crystals and glitter inlay detailing to bring out that cowgirl spirit in you! SNIP TOE PROFILE - Built with a snip toe profile that adds to the shoes' westerly touch. COWBOY HEELS - The shoes are matched with classic cowboy heels and rubber heel tabs to add some jazz in your strides! PREMIUM QUALITY BOOTS - The Corral Boots company has been considered to be one of the premier boot manufacturers in the world. With their dedication and high regard for western fashion, you can be sure that each pair is made with excellent quality materials and service.